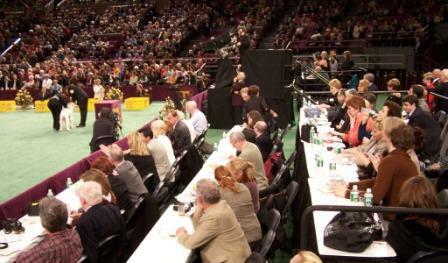 WESTMINSTER 2014: WHO JUDGES DOG, JUDGES OR AKC? WHO JUDGES DOGS, JUDGES OR AKC? 2014 Westminster Kennel Club Dog Show generates as much speculation about the quality and style of judging as any sporting event in the nation. From football to auto racing, winners are determined by non-subjective means such as a scoreboard, stopwatch or finish line whereas judging dogs is personal opinion taken to the extreme. Judging, be it food, livestock, or art is a subjective craft. Our rules (breed standards) are interpreted, movement is in the eye of the beholder, and condition, presentation, and performance are assessed according to the priorities placed on them by that particular judge at that point in time. Westminster Dog Show, The National, and Philly are still televised for a viewership who appreciates a glamorous fashion show and a Who’s Who of dogdom but the numbers are shrinking. Most breeders would agree that dog shows have worked pretty well. Purebred dogs have become healthier and sounder through decades of astute selection by judges. 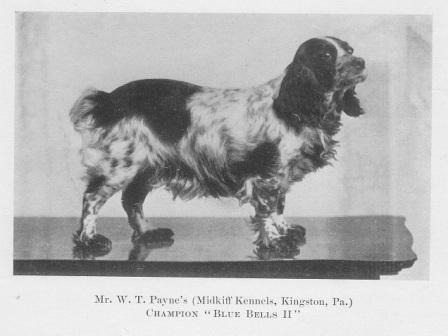 Admittedly, exceptions occur when judges succumb to fads or award exaggerations of “type” but overall, purebreds are sounder, healthier, and more appealing than they were a century ago. So by and large, the judging system works. Or it has until the American Kennel Club decided AKC Reps know more about judging than do dog show judges. While there should be some degree of oversight in the art of judging dogs so that opinion doesn’t become disregard for the breed standard (or honesty), how far can it go without interfering with a tried and true judging system? Should the American Kennel Club become involved in judging or should AKC stick to registering dogs and recording breed standards and show wins? Clearly, AKC’s only requirement is that judging applicants satisfy basic criteria and knowledge of the breed(s) for which they apply. That is their duty to the exhibitors who trusting the AKC’s judgment, expend millions of dollars every year seeking the judge’s opinion. AKC should respond to weighted complaints of judging ineptitude or dishonesty in order to insure the integrity of the sport but otherwise, the American Kennel Club should stay out of the show ring. If a judging applicant meets the basic requirements agreed upon between AKC and the three judges associations, every applicant should be “provisionally” approved for first and/or additional breeds. 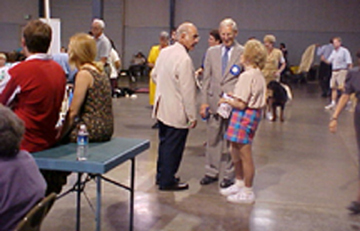 Then, to remove the constant scrambling for assignments which are heavily weighted in politics and often result in tainted ring decisions, AKC should require clubs to use a minimum of 25% provisional judges on each panel, such judges to be selected from an AKC computer-generated list based on distance, availability, expenses, and approved breeds. Each judge’s complaints, praise and entry numbers for provisional breeds should be computerized and reviewed with the judge yearly. Then, based on a preset number of times adjudicating a breed, a cumulative review would be shared and discussed with the judge at which time, the “provisional” designation would be removed on a breed-by-breed basis, a one-year extension could be granted for one or more breed(s) or if the review is deemed unsatisfactory, judging approval would be removed on a breed-by-breed basis. What do you think would solve the confusion, dissatisfaction and unrest among aspiring and approved AKC judges? Send your comments and suggestions to Comments@TheJudgesPlace.com to be included in a follow up after Westminster.